Tobacco was not introduced to China until the 17th century (imagine a smoke free China! ), it very quickly became a hit in the Guangdong region through trading with the Philippines (then Spanish colony). Nowadays, the paper wrapped tobacco cigarette are held between 2 fingers to be smoked, in old China smoking was a refined business. There were different tools for smoking (see water pipe), one of the common tools is the Yan Dai Guo, it consists of a pipe stem, a tobacco sac (the chamber of the pipe) and a mouth piece. In the old days both men and women would carried with them these smoking items together with a tobacco bag (dried tobacco storage), there is an old saying that goes; tobacco sac is inseparable from the tobacco bag, the old chap is inseparable from the old wife. 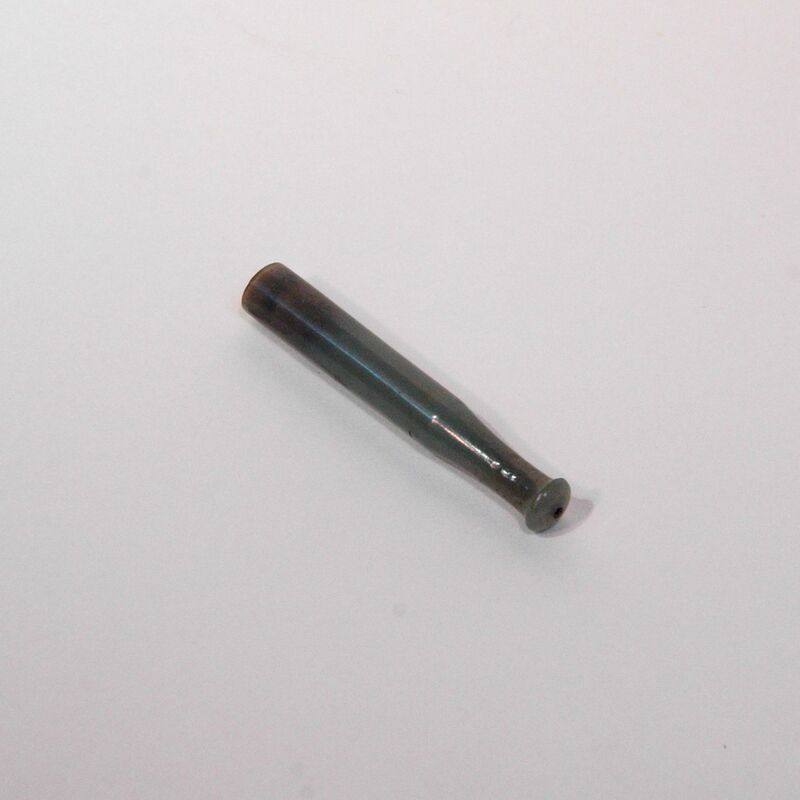 The pipe stem for man is normally 150mm in length and the ladies very longer and has a smaller mouth piece. This jade mouth piece would have been used by a middle class lady, the material of the mouth piece would tell a lot of the social status of the person (just as watches is for today), a common folk would use bronze while the well off would use materials such as jade, ivory, silver or gold.